If you’re worried that your home may need foundation repair, you’re likely unsure of who to call. Hiring a Michigan foundation repair contractor can be a daunting process, because so many companies claim to offer this service. 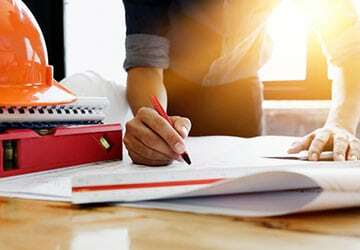 At Foundation Solutions 360, we thought it would be a good idea to put a foundation repair contractor FAQ together to give you questions you need to ask to ensure the company you hire is properly prepared for the job. Does the Foundation Company You Hire Have Proper Liability and Workers Compensation Insurance? It’s critical when working with a foundation repair contractor in the Detroit area that you ensure they’re properly insured. Don’t just take their word, ask for proof and follow up with their insurance agent to ensure their workers compensation and liability coverage is current. This little bit of leg work can pay huge dividends in the event that an accident happens on your property. Does the Foundation Repair Company Employ Subcontractors? Some foundation repair and basement waterproofing companies are nothing more than a lead generation factory. They simply field the calls, schedule the work and then subcontract the actual job to another local foundation repair contractor. This can work in some scenarios, but at Foundation Solutions 360 we’ve found that employing our own crews allows us to provide a higher level of service to our clients. Is the Foundation Repair Work Warrantied? It’s critical that you ask any foundation repair company whether or not they warranty their work. Providing a warranty is one thing, but it’s important to read the fine print. At Foundation Solutions 360, we offer a lifetime warranty on our foundation repairs that’s actually transferable to a new homeowner. Does the Company Comply With All Local Ordinances? Ask any company you’re thinking about hiring whether they obtain the necessary permits and are prepared to contact the local utility line locator companies to ensure all utilities will be marked before work begins. Are the Owners of the Foundation Repair Company Easily Accessible? Be sure when you’re working with a foundation repair company that you’re able to reach out to the owners if any problems arise during the project. 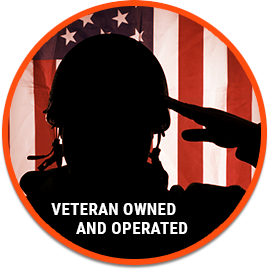 At Foundation Solutions 360, we are a veteran owned company that’s completely focused on integrity and quality. If you think you may be in need of foundation repair for your Michigan home, feel free to reach out to our team today by phone at (855) 532-5360 to schedule a free estimate. We look forward to speaking with you soon.